The Darth Vaderª Key Light takes on the galaxy! 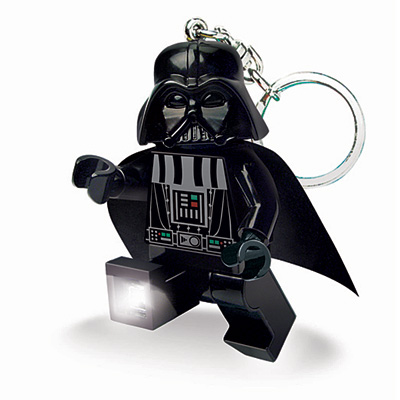 The Darth Vader Key Light is the same size and has the same functions as the successful LEGO¨ LED Lighting Key Lights. Press the button on his chest to turn on the exclusive lights on his feet! Posable arms and light angling legs. Batteries are included. Height 2.75".